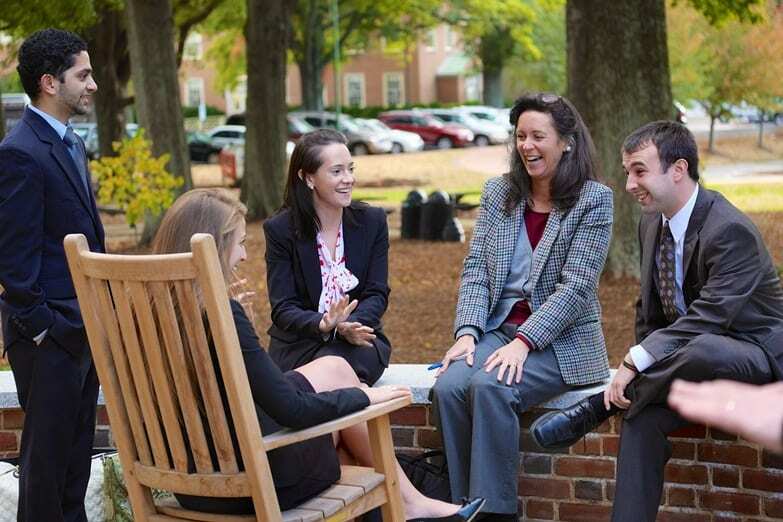 The Wake Forest School of Business has an active and engaged alumni more than 16,000 strong. As a School of Business alumnus, you join an outstanding volunteer network of ethical business leaders who are committed to the ideals of pro humanitate. Opportunities for engagement with this diverse and talented group are numerous, and can pay rewards on a personal and professional level. We encourage our alumni to get involved and stay involved with Wake Forest in any way you can. Volunteering your time and talents is a mutually rewarding way to help students and fellow alumni. Below are some of the ways you can give back to Wake Forest through volunteering. Admissions Events – reach out to prospective/admitted students by joining us for admissions events (on or off-campus). Correspond with Students – in person at an event or via email, phone or mail. Applicant Referral – make us aware of a prospective student who is interested in one of the programs at the School of Business. The Mentor Program – pairs members of the business community with business students to share their expertise and provide career guidance (see below for more details). Career Panels & Workshops – provide students with a forum to gain insight into specific functional areas, discuss career strategies and the roles and responsibilities of a position. Alumni/Student Receptions – work with other alumni and staff to help organize and/or host events in your city, including new student receptions, dean receptions, lunch groups, faculty breakfasts and sporting events.